Mine did perfectly. All I had to do sometimes is placing the bot on the correct map in order to trigger the events. its because the map route 8 is not on cinnabar quest i guess . wow i totally stopped using questing.lua after it did ss anne it says no more available quests for me???? is there more i can use it for? [8:41:35 PM] No more quest to do. Script terminated. (2017-04-30, 00:40:56)X1VK_TroJan wow i totally stopped using questing.lua after it did ss anne it says no more available quests for me???? is there more i can use it for? 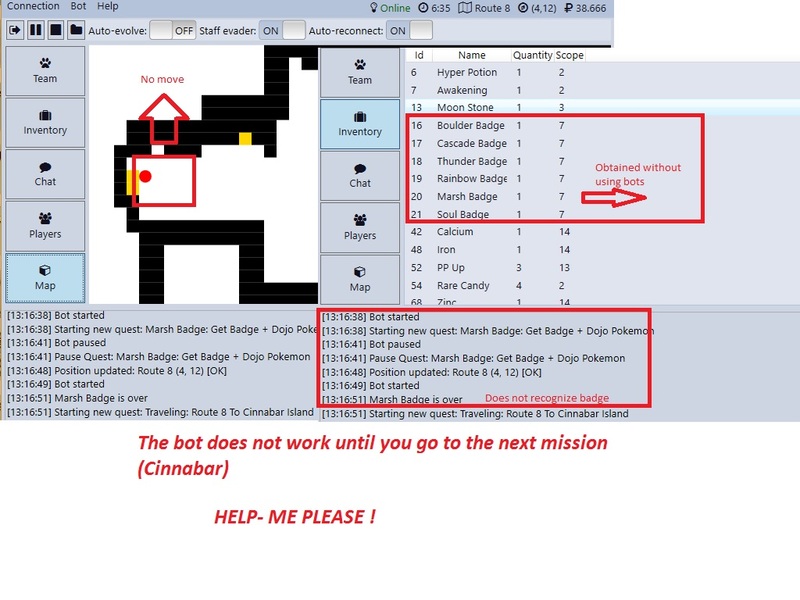 On the page for the script it states it can do the Thunder Badge Quest and Lance Vermillion Quest, after SS Anne, so I would say yes, but I believe it's buggy and not kept upto date.